The Spaniard seemed an absolute certainty to depart Liverpool this summer, having spent the entire campaign on our bench in 2016/17 – but thanks to an impressive pre-season – he’s climbed above James Milner in the pecking order and is arguably our first-choice left-back ahead of new signing Andrew Robertson. 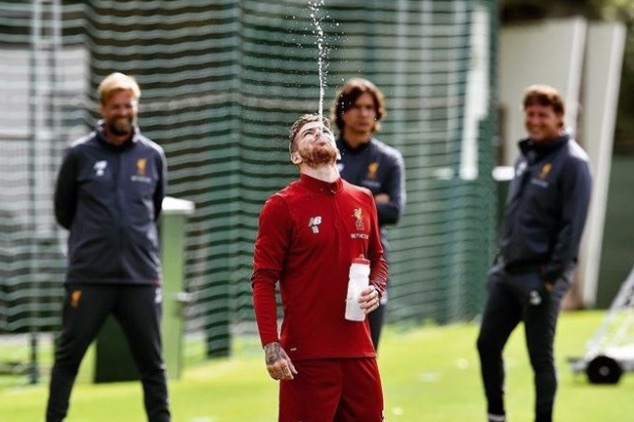 Yesterday was a big day for Moreno at Melwood. Not only did he welcome his friend Coutinho back to first-team training for the first time this season, but he bagged a fairly outrageous bicycle kick to boot! The 25-year-old had two bites of the cherry, before the ball ballooned off Simon Mignolet, but Moreno leapt into the air and bagged with an acrobatic effort. Imagine if he notched one of these at the Etihad on Saturday? !